Betternet VPN is an established Canadian provider with an impressive track record of being named the best and the worst in its field. It’s one of the most downloaded VPNs on mobile app stores, and it has been found to come bundled with malware and trackers. It can’t boast of a large number of servers, nor fast connections, but its primary bait is the free forever price tag. 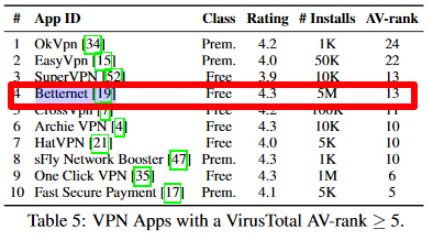 In the VPN business, a provider that offers free service typically monetizes on user privacy. I say typically because some trustworthy providers offer limited free service as a way of promoting their main product – the paid VPN. But Betternet is hardly one of such providers since the lack of transparency in many aspects doesn’t allow it to come across as trustworthy. 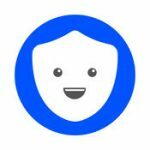 Betternet’s prime product is its free VPN. It is ad-supported, so you’ll be watching video ads and possibly installing advertised applications to keep using it on mobile. I haven’t encountered ads embedded in their desktop client, which offers a 7-day free trial. The bad news is you must submit your credit card details to claim it. It’s an instant privacy-intrusive turnoff if you ask me. They don’t accept PayPal or any other payment method for that matter. 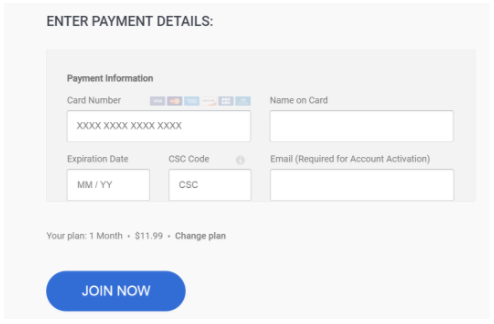 Note: some users complain the free trial checkout did charge them $11.99 with no option of unsubscribing from the monthly plan other than contacting their bank. There are three paid plans - $11.99 monthly subscription, $23.94 bi-annual, and $35.88 annual plan. The service offers up to five simultaneous connections, no ads, and quality support. The 30-day refund policy comes with a draconian 50 Mb limit, which will only get you as far as testing the VPN. So Betternet is not getting kudos for their money-back guarantee. 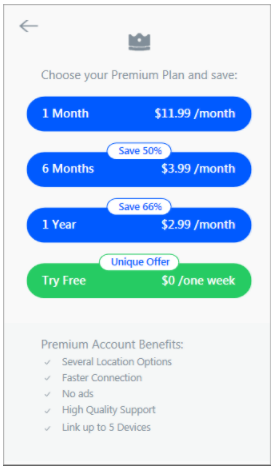 The main difference between the free and paid services is the premium membership lets you choose a server while the free service connects you automatically to the nearest available one. My concern is the provider chooses to be secretive about the number of servers, for some reason. You can install Betternet’s desktop app on Windows and Mac, their mobile app on Android and iOS, or simply use their browser extensions. With that in mind, I’m steering clear of their mobile apps and browser extensions. I did scan their windows app for viruses, and it came out clean. The Windows client leaves a load of leftover files after uninstall, however. On the usability front, Betternet can’t offer much – there is no customization as such. You can have it run on system startup and reconnect automatically when the connection is lost, but that’s about it. On the bright side, it connected and disconnected rather smoothly in my tests. There is no live chat since Betternet provides support via email and ticketing system. If there were a feature worth paying for in Betternet, I’d go for it, but unfortunately, the undisclosed number of servers and lack of transparency on the used technology fails to impress. There is no advanced customization setting to unlock here, so no kill switch, no firewall, nor leak protection toggle, either. From the privacy and security perspective, Betternet seems to be giving with one hand and taking with the other. For instance, their blog post says they use OpenVPN with AES 256-bit encryption and 128-bit AES-CBC for IPSec. You’d be hard-pressed to find anything else on the matter. Usually, when a VPN provider deploys strong encryption, they put it front and center and make sure all potential users can easily access that information. Betternet does quite the opposite, which is never a good sign. You are allowed to torrent, but if the provider receives a DMCA notice or a court order, you’re busted. Considering all the above and because it’s a Canadian provider (remember the 5 Eyes), I wouldn’t recommend it to privacy wonks at all. Betternet’s Windows client didn’t display malicious behavior in my tests. 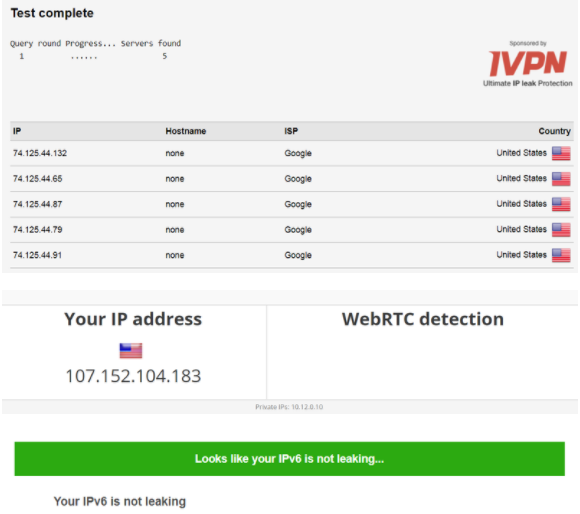 It connected relatively fast and did not leak my real IP, DNS, or WebRTC. It has no kill switch, so I could’ve been exposed without knowing it. The speeds were slow, but I was able to access Netflix. At the same time, the sluggish speeds don’t help much if you’re into P2P file-sharing. Finally, the provider has some severe reputation issues I’d like to see addressed rather than ignored. It is always a bad sign when a provider just flat out ignores accusations of spreading malware and trading user data. The bottom line – not recommended.